WILL ENNIS-ROSADO PAVE THE WAY FOR A RETURN TO THE GLORY DAYS OF PHILADELPHIA BOXING? 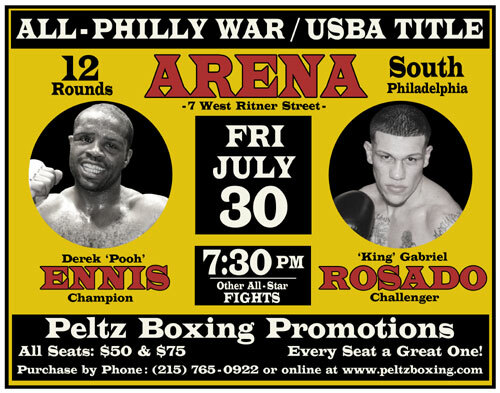 Philadelphia, PA--When Derek “Pooh” Ennis defends his USBA junior middleweight title against fellow-Philadelphian ‘King’ Gabriel Rosado on Friday evening, July 30, at the Arena in South Philadelphia, it will bring back memories of some of the local showdowns that once made Philadelphia one of the boxing capitals of the United States. 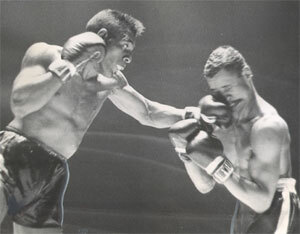 The list of outstanding fights reads like a page out of Who’s Who in Philadelphia boxing history: Al Ettore vs. Gus Dorazio, Bob Montgomery vs. Wesley Mouzon, Charley Scott vs. Sugar Hart, George Benton vs. Joey Giardello, Gypsy Joe Harris vs. Kitten Hayward, Bennie Briscoe vs. Cyclone Hart…. Hall-of-Fame promoter J Russell Peltz, who is staging the Ennis-Rosado fight, agrees. 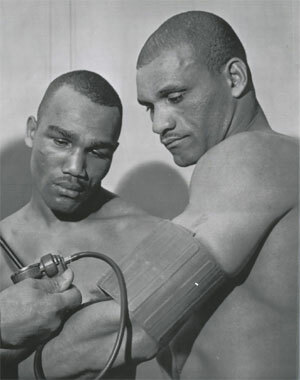 “In 1961, when I was 14 years old, my dad took me to the old Arena at 46th & Market Street to see Harold Johnson defend his light-heavyweight title against Von Clay,” Peltz said. “Johnson was from Manayunk and Von Clay was from West Philadelphia. It was an unusually hot night in late April and the Arena was not air-conditioned and you couldn’t move in there it was so packed. It was sweltering. “We sat on the first row. Johnson was my boyhood idol and when he knocked Clay out in the second round, my emotions ran wild. I was ecstatic that Johnson had won but I was upset at Clay because I wanted to see more of the fight. Philadelphia long has been synonymous with tough fighters, guys who throw the left hook all night, even from left field. Fighters who stand toe-to-toe until only one of them is still standing. “I remember the night George Benton fought Jesse Smith at the old Convention Hall in 1962,” Peltz said. “Benton was known as the Mayor of North Philadelphia and Smith ran with a fast crowd from West Philly. Benton was just too much for him and he dazzled the crowd with an incredible defensive display by staying in the pocket and making Smith miss all night while landing his own solid shots. After Peltz got in the business, he became part of the story. “The Philly fans always liked to see the neighborhood wars,” he said. “There was a lot of interest and a lot of passion. 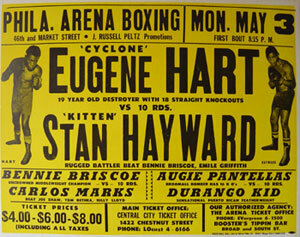 I had been promoting less than two years when I made Cyclone Hart against Kitten Hayward at the Arena in May, 1971. North Philly against West Philly. Hart had knocked out all 18 of his opponents and he was stepping in against his most experienced opponent. 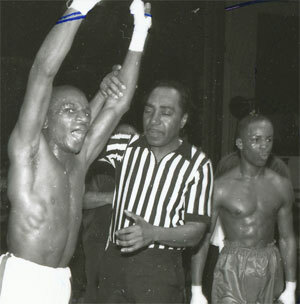 Hayward had beaten Curtis Cokes and Bennie Briscoe and Emile Griffith and we sold nearly 1,000 tickets at the Arena box office the day the fight was announced. “Hayward stayed at a hotel in South Jersey across from street from the Garden State Racetrack. He didn’t think a 19-year-old kid like Hart could beat him and he spent most of his time around the horses. In the mid-1970s, Peltz staged all-Philly showdowns at The Spectrum featuring a group of middleweights which included Hart, Briscoe, Willie “The Worm” Monroe and Bobby “Boogaloo” Watts. While Peltz won’t compare the upcoming Ennis-Rosado fight to those great ones of yesterday, he’s hoping all-Philly matchups can help to revive the once-great boxing town. “It’s a hard sell also because most of the TV networks frown on guys who have more than one or two losses so, in some cases, it’s hard to blame the managers. But boxing suffers along the way because there are too many shows featuring Cowboys and Indians and the fighters never get to experience being under fire. When we were kids, one of us would bet the blue corner all night and one guy would bet the red corner. I can go to most fights today, look at the lineup sheet, and make money by betting the corner with all the favorites in it. Peltz recalled a couple of neighborhood wars he promoted at the Blue Horizon. “We had plenty of showdowns there,” he said. “In 1985, I made a 12-rounder for the vacant Pennsylvania State Bantamweight title between Bryan “Boogaloo” Jones, of North Philadelphia, and Troy Fletcher, of West Philadelphia. 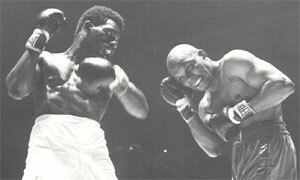 Jones had had a big amateur career and Troy was Frank “The Animal” Fletcher’s brother. Jones was 8-0, Fletcher was 8-0-1 and the fight was so popular they were selling counterfeit tickets on North Broad Street. I wanted to know why you couldn’t move around upstairs and that’s when I sent a friend outside to buy one of the tickets and we saw that someone had made copies of the same ticket on a homemade printing press with the same number on it over and over. For the time being, Peltz is concentrating on the Ennis-Rosado matchup. Ennis, 29, is from the Germantown section of Philadelphia. His record is 21-2-1, 13 K0s, and he is ranked No. 12 in the world by the IBF. He is the defending USBA champion, a title he won by beating Eromosele Albert, of Miami, FL. Rosado, 24, is from North Philadelphia. He is 14-4, 8 K0s, and has beaten ex-world champ Kassim “The Dream” Ouma, of Palm Beach Gardens, FL, and Saul Roman, of Mexico. The seven-bout card begins at 7:30 p.m. and will be televised by www.gofightlive.tv.